The 2018 Australian Supercross Championship kicks off this weekend with riders gearing up for a high flying, action-packed battle in front of thousands of race fans at Jimboomba X Stadium this Saturday. Located less than an hour’s drive from Brisbane and the Gold Coast, Jimboomba is the ideal location for the opening round of the series and will be hosting a national round for its fourth consecutive year. With a stacked field of international talent for this year’s championship including; Justin Brayton, Bradly Taft, Dakota Alix, Jase Owen and Jacob Hayes from the USA and Gradie Featherstone from the UK, 2018 is set for an epic five round battle with a huge culmination and series finale at Sydney’s AUS-X Open. 2017 Australian Supercross Champion and current World Number 5 Justin Brayton joins a raft of international and local riding talent to contest this year’s series with competitors hailing from the US, Europe and Australasia all making the trip downunder to contest for Australia’s top Supercross prize. “Jimboomba has been pretty kind to us and after winning the opening round of the Australian Supercross Championship at this track last year, I’ll be looking to do it all again in 2018.” Brayton said. “The competition this year is awesome when you consider there’s guys coming from all over the world to compete in the 2018 Australian Supercross Championship. We’re going to have our work cut out for us to defend the title but I have a great team behind me and we’re looking forward to kicking things off with a win at Jimboomba this Saturday. “Jimboomba X Stadium is an awesome place to watch Supercross so if you haven’t got one already grab a ticket online, or at the gate and come check it out, there’s definitely going to be plenty of guys bar-banging, trying to win this thing on Saturday!” Brayton added. 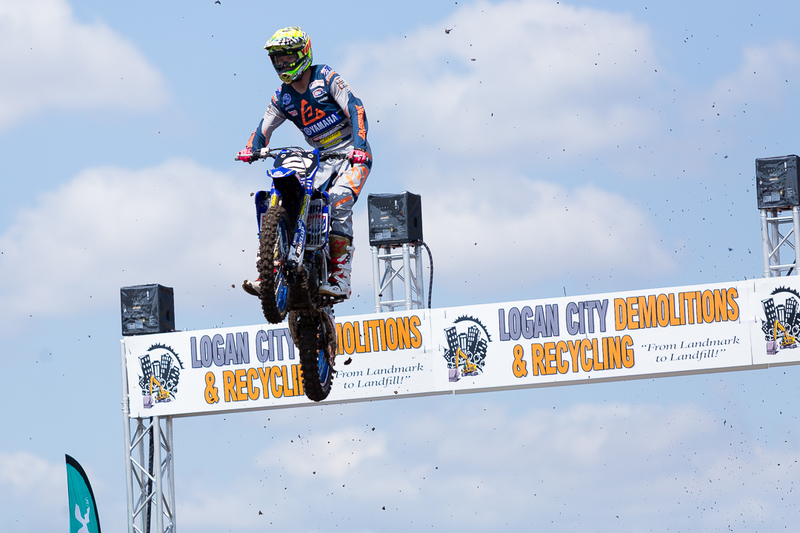 Riders will be laying it all on the line at Jimboomba’s purpose built Supercross track with SX1, SX2, Junior Lites and Junior 85/150 categories all locked into the racing schedule this Saturday form 10am. The Jimboomba X Stadium has cemented itself as one of the premier, purpose built Supercross venues in the Southern Hemisphere, providing an atmosphere like no other, allowing spectators to get “up close and personal” with all the stars who themselves feed off the enormous energy of the vocal crowd, which is expected to be in excess of 5000. The event will be bolstered by a Pit Party for fans to interact with riders and stay entertained in between heats with activations and live music. The opening round of the Australian Supercross Championship is a great day out for all ages and will kick of from 10am this Saturday 15 September at Jimboomba X Stadium.